Hey ladies! Who is up for some online shopping on this lovely Tuesday morning?!? As I might have mentioned in a previous post, I am in the midst of hosting an online mystery hostess show for Stella & Dot as a fun fall line launch! 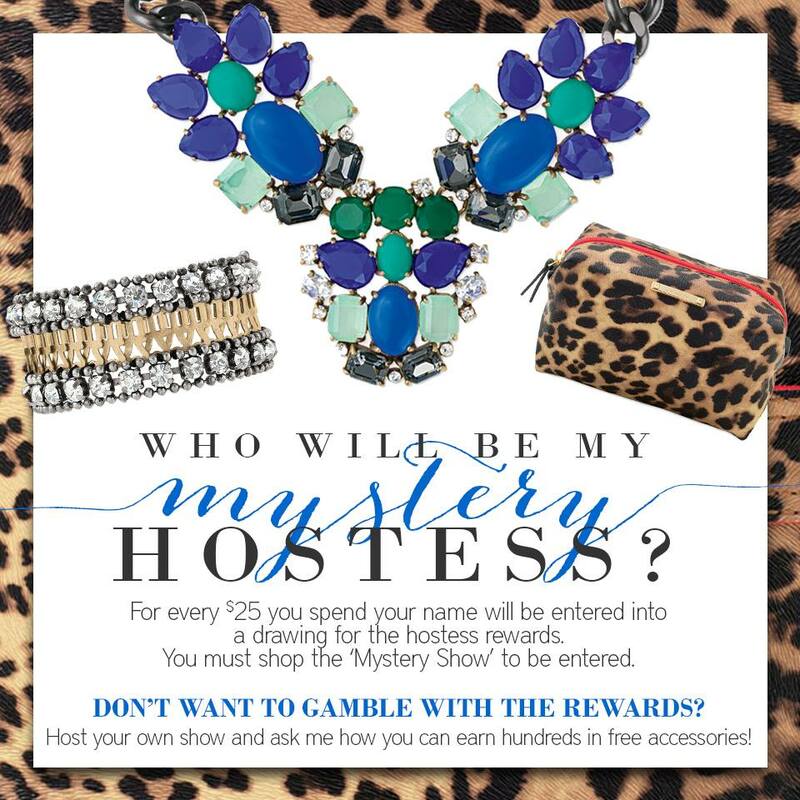 Just like the poster says, for every $25 spent you will be entered into a drawing to win the hostess rewards. Right now they are totaling almost $75 in free jewelry and half off shopping! There are a lot of fabulous pieces for both summer and fall and with almost 50% off the line under $50, you are sure to find something that you love! The show will be open until August 17 and the winner will be contacted directly!